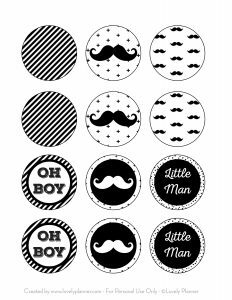 Use these free Mustache Party Cupcake Toppers to decorate your sweet table during your little man baby shower, baby’s first birthday or any other event for which you’d like to have a Mustache Party theme! 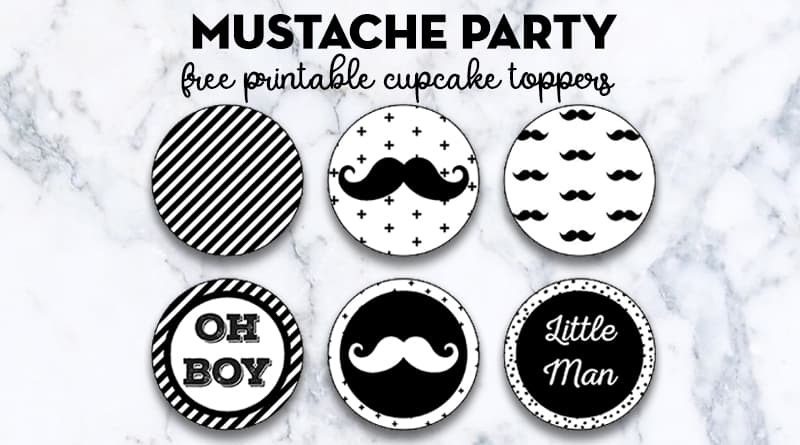 I’ve created and included 6 different cupcake toppers designs that you can print, cut and then use to decorate your cupcakes or other elements of your Mustache Party decoration. For example you could also use these to decorate straws or as stickers that you could use on party favor bags, cups, envelope sealer for your invitations or whatever else you might think of! Many possibilities! 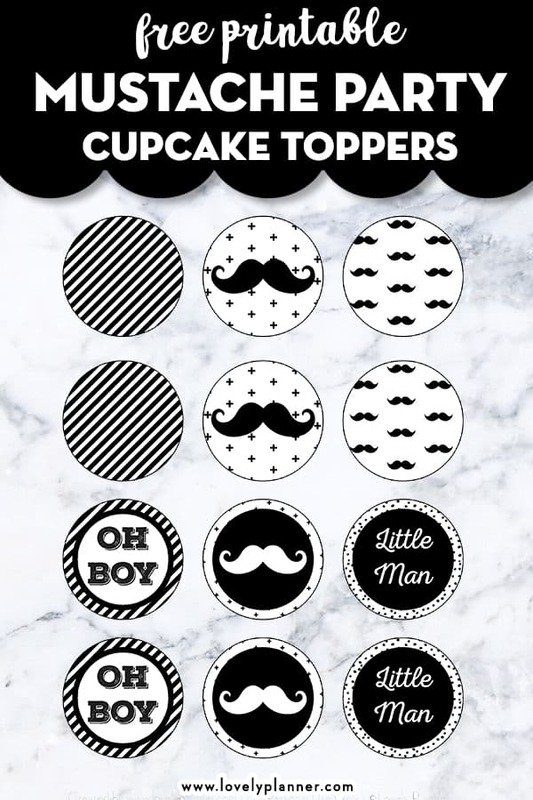 12 cupcake toppers fit on one page. To assemble, simply glue 2 circles to each other by placing a toothpick between both pieces of paper. 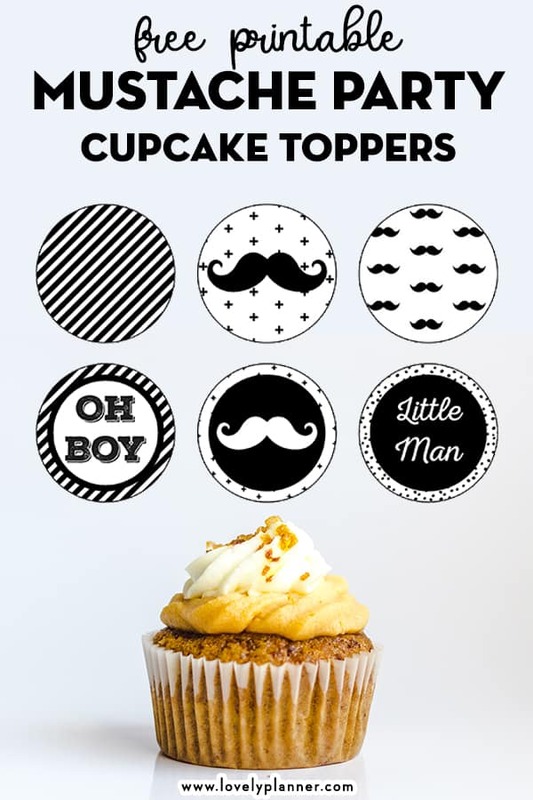 So remember to print twice as many circles as you have cupcakes if you want to decorate them all. 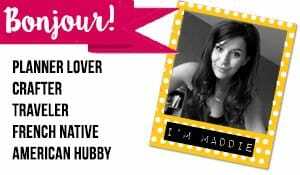 If you like this printable, consider spreading the fun by pinning this image (by clicking this image “Pin It” button). You can follow me on Pinterest to see all the awesome free printables I’ve spotted while browsing the web! 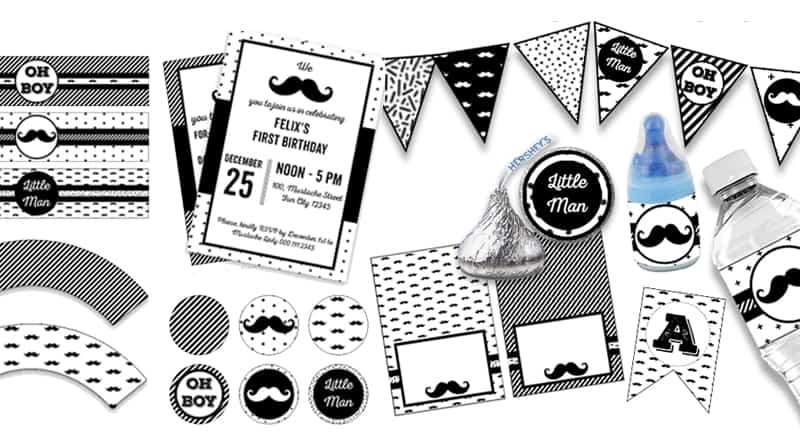 You’ll probably like this Free Party Printables board.